﻿ Best Price on Hacienda de los Suenos in Ojochal + Reviews! 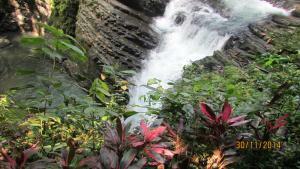 Located in Ojochal, Hacienda de los Suenos provides accommodations with free WiFi and access to a garden. The units have a fully equipped kitchenette with a toaster, coffee machine, and a fridge. A terrace with garden views is offered in every unit. The aparthotel offers a year-round outdoor pool. 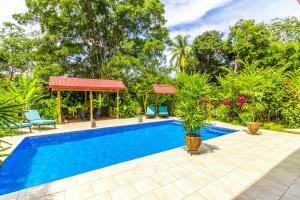 Playa Ventana with 3.1 mi away from Hacienda de los Suenos, while Uvita is 9.3 mi from the property. The nearest airport is Palmar Sur Airport, 15 mi from the accommodations.